Natural disaster is an exciting but tricky subject. Risk to survival; extreme deprivation; families sundered and reunited; panoramic set pieces of waves crashing, meteors hurtling, or skyscrapers toppling — all the ingredients are there for a gripping narrative. But think of the technical and ethical challenges. How does a writer choose one focal point among so many? Who survives? If the subject is a real disaster, how does a novelist or screenwriter honour the memory of those who endured, and those who perished? And what about the nagging doubt that it is all an exercise in profiting from misery? 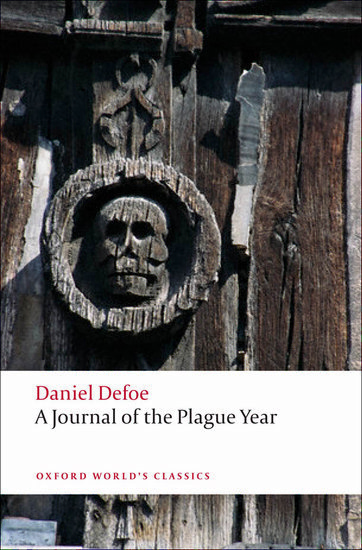 A Journal of the Plague Year is arguably the greatest book ever written about natural disaster. It’s partly the vivid detail, the mesmerizing sense that we are taking a step-by-step journey around London in 1665, like a visit to some grisly theme park. Partly, it’s the way the book does not flinch in the face of horrors that still shock a generation used to YouTube nasties: bodies flung randomly into mass graves, bubos swelling unbearably or being lanced, plague victims deliberately infecting the healthy. There’s also the strange poetry of empty streets and shops, as though the terror of disease allowed us to reclaim the city from those teeming crowds of other people. But that doesn’t quite explain the greatness of the book. Part fiction, part history, Daniel Defoe’s Journal is at once shamelessly sensational, technically anxious, and ethically troubled. It takes all the excitement and all the trickiness of its subject head on. If ever a book was designed to shock, from the orthography of its 1722 title page onwards, it is the Journal. To a public cowering under the threat of a fresh outbreak in Marseille, Defoe offered what he duped readers into believing was an eye-witness account of the terrors of ‘the last Great Visitation in 1665.’ The ingredients might furnish any post-apocalyptic zombie thriller: a city beset by a disease no one can fathom; a lone hero intent on survival; crazed victims screaming in the streets; draconian government entering the void. “Be afraid,” Defoe warned his readers in the bold gothic print of the title. It seems to have taken nearly sixty years for anyone to work out that the book was, in fact, a hoax — 28 Days Later meeting Orson Welles’s broadcast of War of the Worlds, which sent audiences into a frenzied belief that Martians were on the doorstep. Defoe’s ‘Citizen who continued all the while in London’ was no more real than Moll Flanders or Clarissa Harlowe (although, like them, he came into the world with a documentary trail that gave the appearance of truth). Yet ‘H.F.’ is not really a fictional character any more than he was a real ‘Citizen.’ This god-fearing, bourgeois cipher of a man is there to wonder about the ethics of history. With death on such a scale, how can we be sure that the parish records are correct? What role does oral history have to play? How many people really died? Sensational and shocking the Journal might be, but its hero has all the deliberation and charisma of an accountant – an urban Everyman who looks death in the face and goes home to a mug of cocoa. Defoe had been writing about natural disasters since The Storm of 1704. He was interested in what they said about divine and human power, and in the incredible tales of survival they yielded. It’s with a storm that the island heroics of Robinson Crusoe begin. But disaster allowed him to explore problems closer to home. As a writer Defoe was fascinated by the question of how to harness the random power of disaster within the confines of prose narrative. Sometimes in the Journal it’s as though the plague is dictating the pace and direction of the story. We veer between the Tower and Westminster according to where it strikes hardest; like the disease itself, the narrative can be remorselessly repetitive. In H.F., Defoe finds a metaphor for his own anxiety that the subject might prove too elusive. Mortality bills, Lord Mayor’s announcements, newspapers, directions from the College of Physicians, Maps and Surveys — they all provided him with the facts he needed to bring the vast subject to heel. The problem of creativity is at its most acute when the writer is confronted with the spectacle of uncreation: of empty streets and bodies piled on carts. If Defoe did worry that he might be profiting from misery, his sales were balm enough. 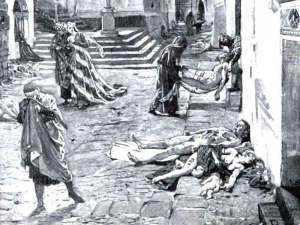 There was a rash of books warning about what would happen, and what precautions would need to be taken, if the plague travelled from Marseille. The Journal was one of the last and least practical, and did not make it into a reprint for another thirty-three years. Once the scare began to subside, readers wanted to move on. It’s a classic today not because we are clear of the disease, but because the book continues to play on our fear of so many other unknown threats that lie in wait. By winding the clock right back it makes us gaze towards the future – in terror. David Roberts is Professor and Head of English at Birmingham City University. He prepared the 2010 Oxford World’s Classics edition of A Journal of the Plague Year and his Thomas Betterton is recently published by Cambridge University Press.